The Worm Lab was set up in 2006 to cater for the first ever experiment to be sent to space by Malaysian scientists. Datuk Mazlan Othman, The Director General of the National Space Agency approved a grant to fund an experiment to send the nematode Caenorhabditis elegans to the International Space Station for a period of 6 months via the USA Shuttle programme. This was also a collaboration with the University of Colorado, USA and Bioserve USA. The experimental package flew on the STS116 and returned on the STS118 after 6 months in the ISS. 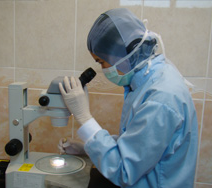 The worm lab is used for culturing and maintainance of C elegans. These worms are ideal to be used as a biological model in science to better understand the fundamentals of cellular processes as the worms share many homologous genes with humans. 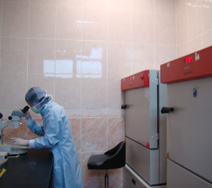 The lab is equipped with equipments such as an incubator shaker, incubators and stereo microscopes.